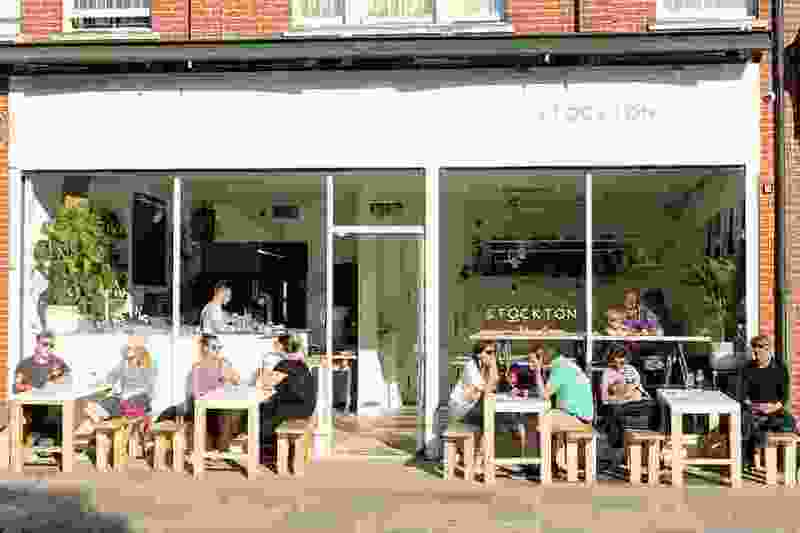 (Photo courtesy Stockton) The exterior of Stockton, a cocktail bar and kitchen in southeast London that's named after Utah Jazz legend John Stockton. A trendy cocktail bar and kitchen in London, England, has an odd inspiration for its name: Former Utah Jazz star John Stockton. Stockton, the bar, is the brainchild of restaurateur Gordon McGowan, who was a fan of the Jazz in the 1980s and ‘90s, when he grew up in Jamaica, according to a report in Vice’s food blog, Munchies. McGowan said he imagined Stockton as a helpful companion to his popular Jamaican-style bar, Buster Mantis, which is a couple of blocks away in southeast London’s Deptford district — much as John Stockton set up his teammate Karl Malone. The cocktail menu has drinks named after the Hall of Famers’ teammates, like the “Sloan” (sloe gin, Campari and marmalade) and the “Benoit” (vodka, black pepper and strawberry). Jerry Sloan racked up 1,223 victories in 27 seasons as coach of the Utah Jazz; Benoit played for the team as a forward in the ’90s. That’s where the sports metaphors end, though — the decor is more Scandinavian sleek than sports-bar kitsch. The only bit of sports memorabilia is McGowan’s framed Stockton trading card. It’s not the first time Stockton has been associated with a bar. From 1961 to 2006, Stockton’s father Jack co-owned Jack & Dan’s Bar and Grill in Spokane, Wash., near Gonzaga University — where John Stockton and his son, David, played their college ball.